do the daily challenge- my personal favorite feature of this app. 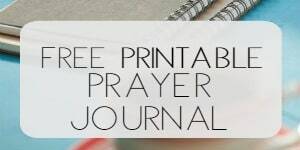 The Daily Challenge is a simple little spiritual challenge for each day that will encourage you to live out your Christian faith. For example, mine for today encouraged me to “pray for the people in my life with whom there is a conflict.” When you complete the challenge, you have the opportunity to share it on your Facebook or Twitter account, though that is not mandatory. 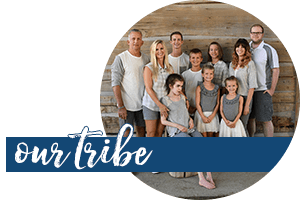 Since I’m focused on “inspiring extraordinary faith for everyday living” here on the blog, I really believe this daily challenge is a great little tool to help you grow in your faith in God each day. So I switched my app usage around a bit in order to begin using Bible Bloom. 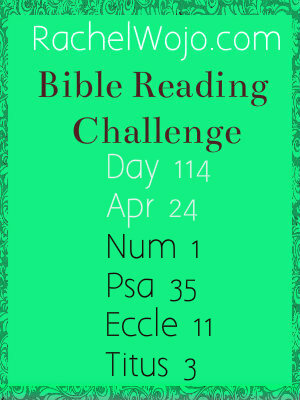 I don’t use a Bible app for the daily Bible Reading Challenge, so that wasn’t a factor for me. 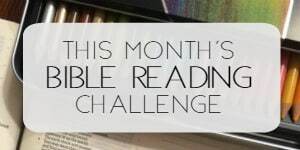 But you could easily begin using the app for the Bible Reading Challenge by placing four bookmarks on the chapters where we are reading each day! And I did move my prayer reminders from the regular reminders over to this app. I’m also pulling up the Daily Challenge each day to encourage faith in action. 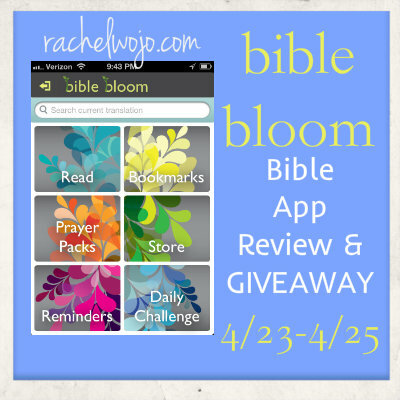 You can buy Bible Bloom for only $.99 on Itunes! For the beauty and versatility of usage for this app, I think that’s such a great price. 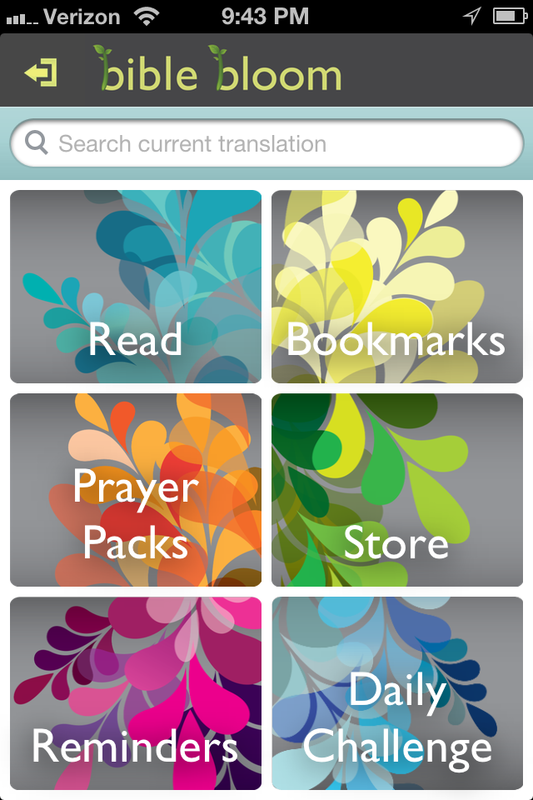 The app does contain in-app purchases- so if you enjoy the prayer packs, you may want to buy more as you need them. For today though, I’m privileged to give away 5 FREE downloads to my readers. Pretty cool, huh? And I really want to hear what you think about the app after you download it and get going with it, ok? And I realize that some of you, my faithful readers, won’t need a Bible app- but I’m guessing you know someone who surely could use it! Won’t you share the info with them today? So, follow the Rafflecopter and I can’t wait to see you tomorrow! Bible Bloom looks really neat. I’d like to try it. I like YouVersion right now but this one looks great too! My favorite bible app so far has been YouVersion of the Bible. It looks like that may change! Thanks for the chance to win a free app! Right now I love youversion but would to try this! I don’t use a bible app other than Bible Gateway to look up scripture or for reading when I can’t get to my Bible. I would try this app. This Bible app look Great. I can not wait to down load from ITunes. Thank you so much for all you do for us!! Just found your blog through your BibleBloom post. Very well done site. I will share with my colleagues and friends. Going to check out your prayer book. Looks like an excellent resource to keep me moving in body, mind and spirit with Christ! I am wondering if they will develop the app for android. Looks like a good app. Does this work on both Androids and iPhones? Currently I use YouVersion and Olive Tree Bible apps a lot. 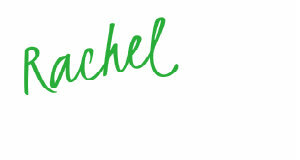 I don’t use many apps, Rachel, but this one sounds wonderful. Thanks for the giveaway. I love my YouVersion app, but like the aesthetic and some of the additional features of Bloom! Will have to try it! This looks like a wonderful app! I would love to have this on my phone 🙂 Right now I have YouVersion. I love youversion, though this looks like a cool app too! This looks like a useful app. I’d love to try it. This app sounds perfect thanks for sharing. This app looks pretty good; it may soon be my favorite! I wish they made an android version! I think I would use it all the time! I’m a huge fan and user of the YouVersion Bible app, but would love to give Bible Bloom a try! Thank you and many blessings to you!